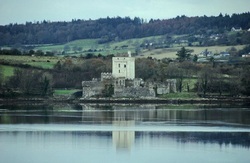 Doe Castle on the shores of Sheephaven Bay near the village of Creeslough, dates from the mid 16th century and was the home of the MacSweeney Clan, who came to Ireland from Scotland and who ruled over much of the area at that time. "... inside a battlemented bawn this substantial ruin of a well-fenestrated two storey residence is reinforced by a four storey square tower at one end and a shorter round tower at the other. 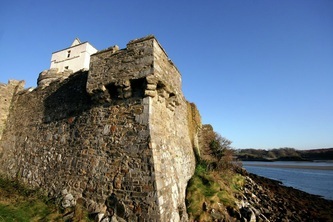 Gun ports abound in both castle and bawn walls. 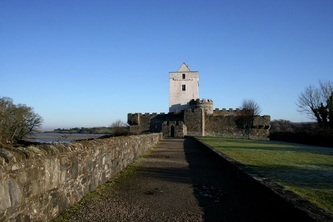 In the 16th century when it was first built this was a MacSweeney stronghold and served as a refuge for ship wrecked sailors from the Spanish Armada in 1588. 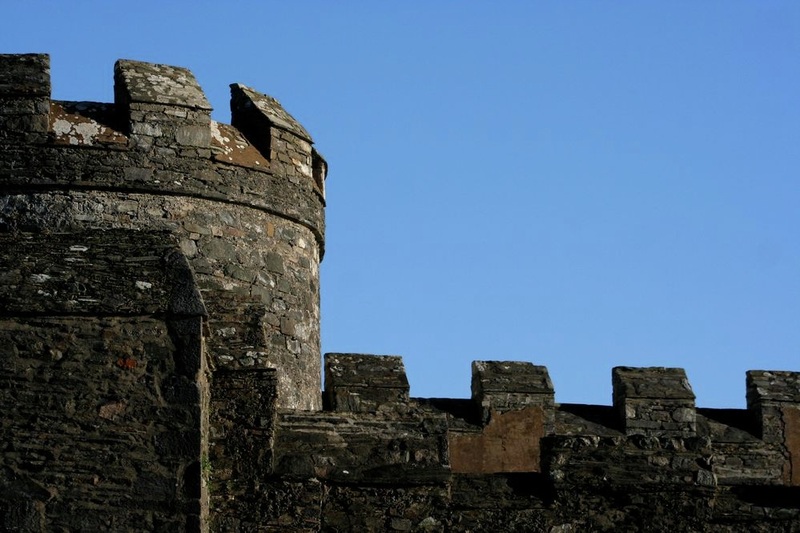 During the following century it was captured and recaptured many times by both Irish and English until peace came to county Donegal in the 18th century when the fortress was converted into a country residence." 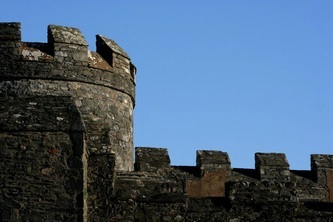 From 'The Intelligent Traveller's Guide to Historic Ireland (Philip A. Crowl).